Pistachios have a trio of protein, fiber, and fats to help keep you full, and these desserts will hit the spot. Pistachios are among the lowest-calorie nuts, so throwing them in this decadent bark is a healthy way to crush those sweet tooth cravings. The dark chocolate makes an ideal pick-me-up (and might even give you an edge at the gym). 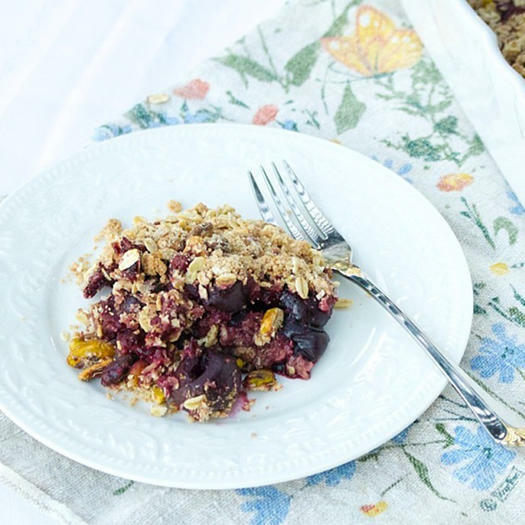 This crisp recipe is rich in flavor and light in calories, with an irresistible combination of superfruit cherries, pistachios, and coconut. Sweet, nutty, and aromatic, this dessert is a delicious way to end any winter meal. 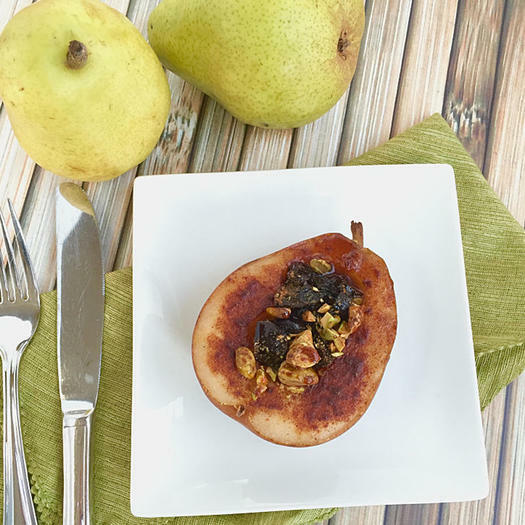 This roasted pear recipe is easy, vegan, and gluten-free—and it packs 5 grams of fiber per serving. Enjoy it as a sweet end to any meal, or add a dollop of whipped cream or frozen yogurt for a special holiday treat. This recipe couldn’t be easier or packed with more nutty flavor. 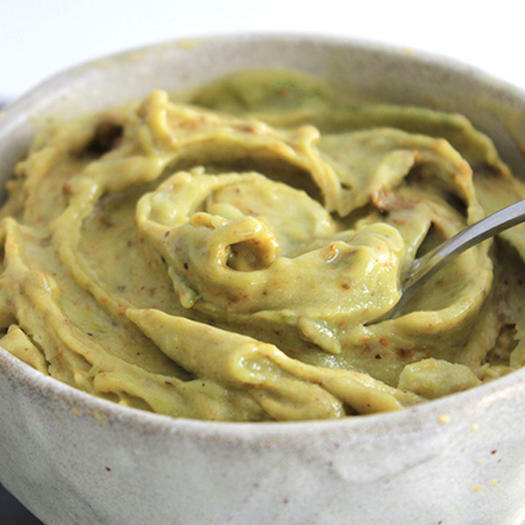 Made with creamy homemade pistachio butter (like PB but with pistachios!) and super-ripe frozen bananas like these other delicious vegan ice creams, we’re down for a treat like this any time of year. You read that right: cinnamon rolls! 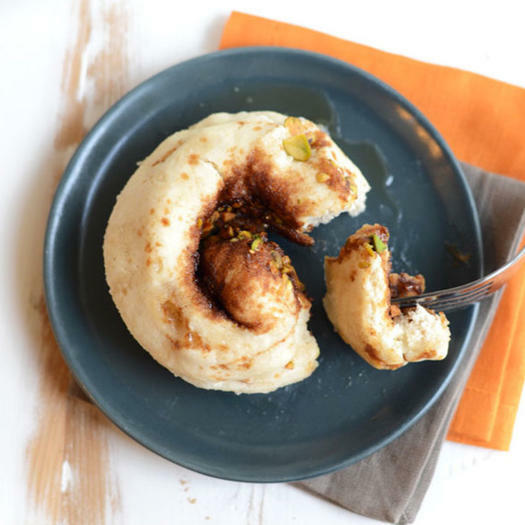 Filled with a sweet gooey and crunchy pistachio filling, this single-serving cinnamon bun cake is an easy treat to savor. Need a solid party recipe? 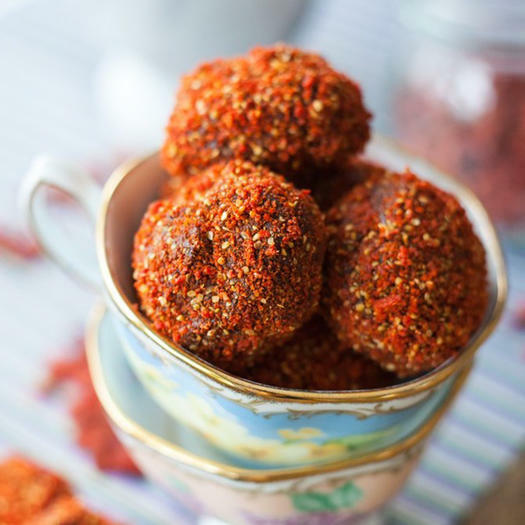 These oh-so-easy vegan chocolate truffles are rich and decadent on the inside and nutrient packed on the outside, thanks to a combination of goji berries and pistachios. 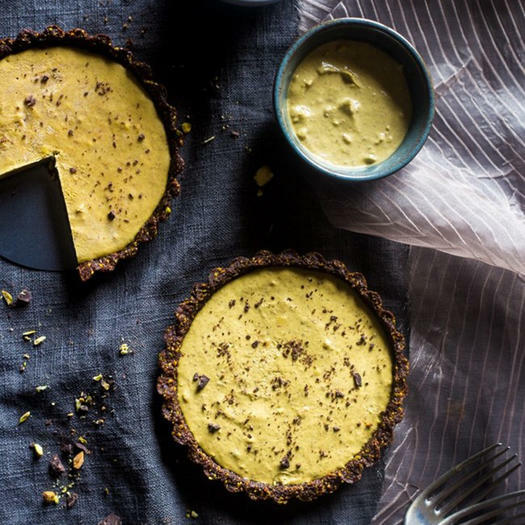 If you’re scared to attempt fancy-pants dessert recipes, this tart has only six ingredients, with pistachios doing double duty in the crust and in the filling. The secret? Soaking pistachios overnight until they’re super soft and easy to purée into a smooth, creamy butter. 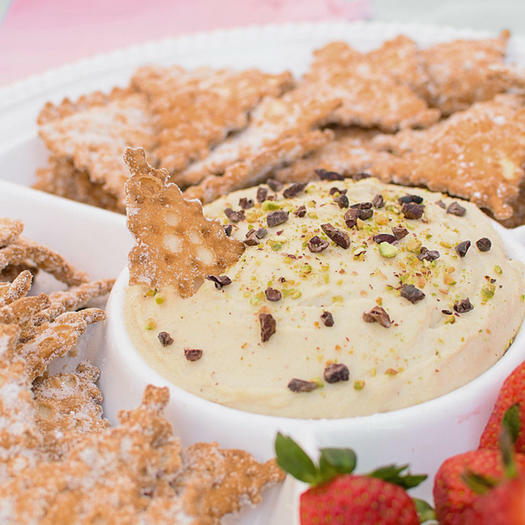 This vegan cannoli dip is a plant-based bowl of goodness made with almonds, cashews, and pistachios (the lowest-calorie nuts). Packed with monounsaturated fatty acids and fiber, this dip is so delicious that no one will know it is made with good-for-you ingredients. Be the first to comment on "Healthy Pistachio Dessert Recipes to Satisfy Your Sweet Tooth"